"Everyone involved in the growth of the LED industry and their various applications should be a part of this program." If you register by April 30, 2019, the course fee is $1,400. The fee for registration after April 30 is $1,500. To reserve your place at our three-day LED Lighting Institute, fill out the registration form and include a deposit of $700 (balance due by event date). The course fee includes continental breakfasts and buffet lunches as well as all course materials and manuals. The LRC will also supply all lighting equipment. Participants will earn 22.25 American Institute of Architects (AIA) Health, Safety, Welfare Learning Units (LUs/HSW) for attending the LED Lighting Institute. Participants also earn Continuing Education Units (CEUs) and will receive a Continuing Education Certificate in LED Lighting from the LRC. The LED Lighting Institute is eligible for LEED and NCQLP maintenance credits. We have negotiated a special rate for hotel accommodations. For information on registration, travel, or CEUs, call Dan Frering at 518-687-7149, or email frerid@rpi.edu. 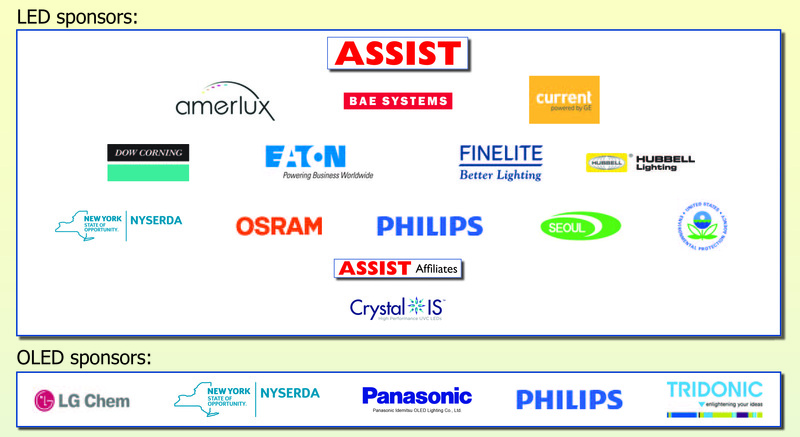 You may download a sample agenda for the LED Lighting Institute by clicking below. The Institute will run from 8:00 a.m. to 5:30 p.m. on Days One and Two and will end at 3:30 p.m. on Day Three. Jean Paul Freyssinier, MS, LC —Professor Freyssinier is a senior research scientist and adjunct assistant professor at the LRC. His research includes solid-state lighting, LED performance, technology transfer, energy-efficient lighting design, photometry, the spectral effects of lighting, and education. Since 2000, he has been involved in lighting technology research, development, and evaluation at the LRC. His previous experience includes working as principal of design at a full-service architectural lighting and automation design firm and as project manager at an energy management firm, both in Mexico. He has taught in the LRC's graduate education program for the past 15 years and lectures frequently at conferences and seminars. He is the author of more than 35 scientific and technical articles related to energy efficiency, photometry, improved LED performance, and field applications, and co-author of six patents on LED remote phosphor technology. N. Narendran, PhD —Dr. Narendran is a professor and director of research at the Lighting Research Center and a Professor at Rensselaer Polytechnic Institute. Dr. Narendran is well known for his pioneering research in the field of solid-state lighting, including LED performance improvement through novel packaging, development of accelerated life-testing methods, and the use of LEDs in high-value lighting applications. He leads ASSIST, an international organization dedicated to overcoming the technological hurdles facing LED lighting and helping to speed its market acceptance. Dr. Narendran has authored more than 130 articles in archival journals and proceedings and holds over 50 patents. He is a Fellow of the Illuminating Engineering Society of North America and a member of the committee on the assessment of solid-state lighting for the National Research Council of the National Academies. His research includes 3-D printing of lighting components, data analytics, and connected lighting systems. Indika Perera, PhD — Dr. Perera is a research scientist working within the LRC’s Solid-State Lighting Program. He is a graduate of the LRC’s doctoral program with a degree in architectural sciences with a concentration in lighting. Dr. Perera’s expertise is in heat generation, transfer, and thermal management within LED lighting systems. His studies led to the publication of a mathematical model for predicting the temperature distribution in an LED phosphor layer, providing insight that is difficult to observe in experimental studies. His publication was a top download from the SPIE Digital Library under the category of light sources and illumination. His research interests include thermal management, material characterization, thermal measurements of solid-state lighting applications, and additive manufacturing including 3D printing. Mark S. Rea, PhD — Dr. Rea is the past director of the LRC and an expert in human vision, lighting engineering, human factors, photobiology, psychology, and light and health. He is the author of more than one-hundred scientific and technical articles related to vision, lighting engineering, and human factors and was the editor-in-chief of the 8th and 9th editions of the IESNA Lighting Handbook. His current research projects include the development of new metrics to improve the acceptance of energy-efficient lighting technologies, the study of the effects of light on circadian disruption, and research on reducing the market barriers to widespread use of energy-efficient lighting. Dr. Rea has conducted groundbreaking research in the areas of human visual performance, visual efficacy at nighttime light levels, and light and human health. His exceptional research expertise and experience along with his outstanding leadership and management capabilities are a great asset to this course.